IRESS 2016 included posters presentations by 24 Earth Science students. 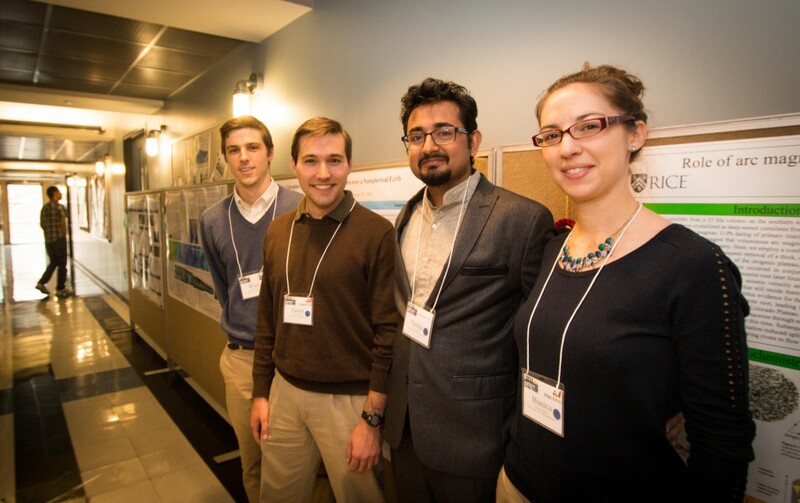 Poster awards were presented to Brian Demet (honorable mention), Daniel Woodworth (3rd prize), Pankaj Khanna (1st prize), Monica Erdman (2nd prize), and Jie Hou (honorable mention, not in photo). Photo by Gary Linkevich.